Sodium hypochlorite, commonly called bleach, remains the most studied and proven disinfectant to date. It has played a critical role in helping to protect public health by killing disease-causing pathogens. Bleach has a long history of successful usage in healthcare facilities. Over 2,000 U.S. hospitals trust Clorox Healthcare® bleach cleaner-disinfectants as key components of infection prevention strategies. Clorox Healthcare provides some answers to common concerns about using bleach. CONCERN: My staff doesn’t like using bleach due to its odor. Sodium hypochlorite, the active ingredient in many bleach cleaner-disinfectants, has no actual odor, as it is not volatile. The characteristic “bleach smell” is caused the chemical reactions that occur when bleach breaks down proteins and other organic matter. Some describe the bleach smell as similar to that of a public swimming pool filled with many swimmers. • Overall, 91% of patients were very satisfied with the bleach wipes intervention. • Environmental services team members’ experiences improved over time. CONCERN: Using bleach can damage equipment and surfaces. The oxidizing action of hypochlorite on these surfaces. The salt that is left behind after using bleach. Over time, the salt buildup can scratch and damage surfaces. To minimize hypochlorite’s impact on surfaces, Clorox Healthcare® bleach products are specially formulated with anticorrosion agents. To ensure that salt buildup does not cause surface damage over time, wipe down these surfaces after disinfecting with a fresh, clean, damp cloth. 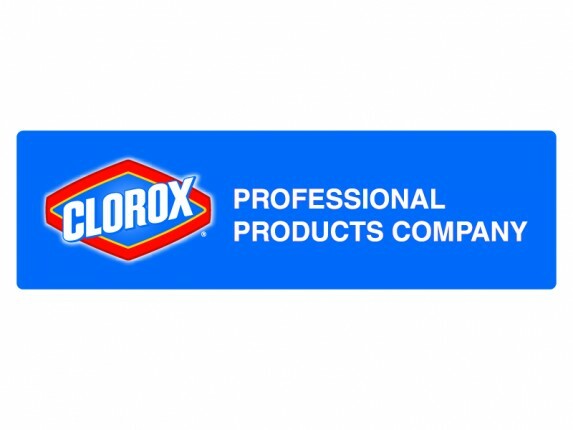 When used as directed, Clorox Healthcare® bleach products are suitable to use on a variety of hard, nonporous surfaces, including stainless steel, plastics, glazed ceramics, glass, porcelain and other materials. Use bleach with confidence to clean and disinfect many surfaces such as bedrails, tables, equipment surfaces, countertops, floors, toilets, sinks, trash cans, desktop keyboards, telephone receivers, light switches, desks and mobile devices such as IV stands, carts and glucometers. CONCERN: Bleach contaminates our groundwater. FACT: The bleach cycle – from production to use to degradation – is simple and sustainable. It begins and ends with sodium chloride (common table salt), which is converted to bleach through electrolysis and combination with water, chlorine and sodium hydroxide. Clorox does not purchase sodium hydroxide or chlorine that is manufactured with the mercury cell process. This eliminates a source of mercury contaminants found in some bleach products. During use and disposal, 95% to 98% of bleach rapidly breaks down back into salt and water. The remaining byproducts are effectively treated by municipal wastewater and septic systems. Bleach does not contaminate groundwater because it does not survive sewage treatment, either in municipal sewage treatment plants or in septic systems. No dioxins are formed. Aronhalt, K.A., et al, “Patient and Environmental Service Employee Satisfaction of Using Germicidal Bleach Wipes for Patient Room Cleaning,” Journal for Healthcare Quality, 2012, 35 (6):30–36.